Pour the water into a small saucepan and bring to a boil over high heat. Add the couscous, drop the heat until the water simmers, cover, and simmer until the water is absorbed and the couscous is done, about 10 minutes. 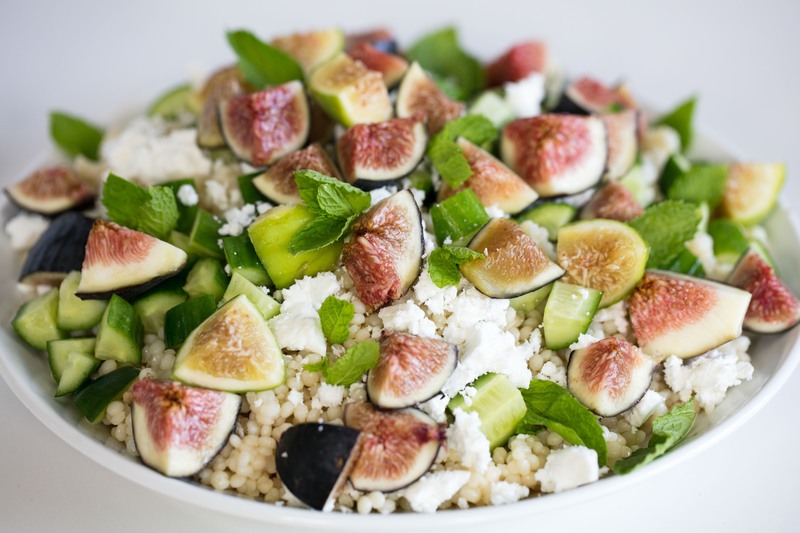 Transfer the couscous to a medium bowl and let cool for at least 10 minutes. Add the remaining ingredients and stir well. Serve at room temperature or chilled.